Can't decide on a gift? 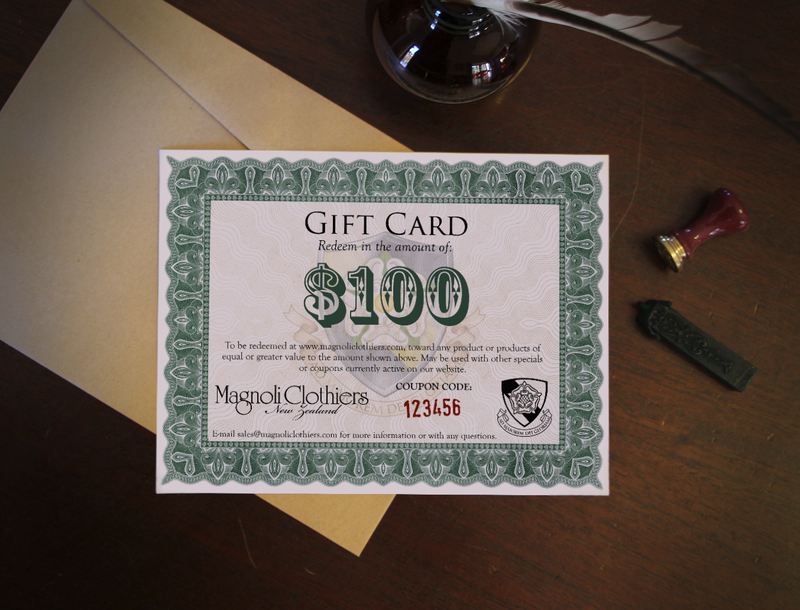 Our gift certificates can be made out in any amount and do not expire, the perfect present for any film-buff, clothing connoisseur or collector! The total amount purchased will be made into a custom Gift Certificate and sent to you with unique coupon code to be used at any time. Your certificate can be e-mailed as a printable image or sent via airmail (please allow 2-4 weeks for delivery). If a specific amount is required that is now shown in the drop-down menu, please contact us and we can complete the custom order via e-mail. 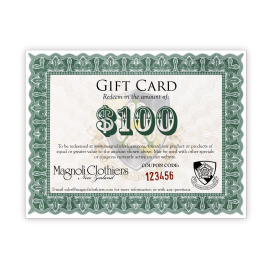 If you want us to add a small message on the gift certificate please state it in the comment section when you order. NOTE: If selecting the E-mail option, choose the FREE shipping option during checkout, otherwise select your preferred shipping option.